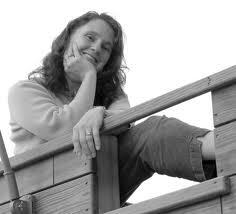 Our guest on this show is a prolific author, REGINIA DOMAN. Among many other notable achievements, Reginia is the author of a wonderful, highly successful ‘picture’ book entitled ANGEL IN THE WATERS. That book has sold over 100,000 copies and has been used by many pro-life organizations, pregnancy centers, etc. 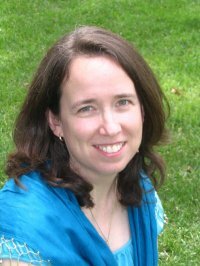 Regina has also won the 2011 Catholic Arts and Letters Award for BEST YOUNG ADULT FICTION — this was recognized in her book ALEX O’DONNELL AND THE 40 CYBERTHIEVES. Regina’s work product is amazing: As mentioned above, there’s ANGEL IN THE WATERS, also The MIDNIGHT DANCERS, The WALKING ROSE, BLACK AS NIGHT, The SHADOW OF THE BEAR, and the new JOHN PAUL 2 HIGH SCHOOL series. Regina also talked to us about something called the Manga Hero (Catholic) comic book series that she’s involved with. She must definitely take CATHOLIC VITAMINS! We closed the show with Matthew Baute’s music; he was a previous guest on our show and gave us permission to use PUREST VIRGIN MARY among other songs from his album RIVER OF GRACE. And finally, Marianna Bartholomew on the instrument called the Recorder. Hello, Deacon Tom and Dee! My Indian connection didn’t come through for my music, so I performed and recorded a little snippet of “The Huron Carol.” No Indian flute, I’m afraid, but a recorder is a good substitute! For those interested in the history of this carol — here is a writeup from Wikipedia, the on-line free encyclopedia. The “Huron Carol” (or “Twas in the Moon of Wintertime”) is a Canadian Christmas hymn (Canada’s oldest Christmas song), written in 1643 by Jean de Brébeuf, a Jesuit missionary at Sainte-Marie among the Hurons in Canada. Brébeuf wrote the lyrics in the native language of the Huron/Wendat people; the song’s original Huron title is “Jesous Ahatonhia” (“Jesus, he is born”). The song’s melody is based on a traditional French folk song, “Une Jeune Pucelle” (“A Young Maid”). The well-known English lyrics were written in 1926 by Jesse Edgar Middleton, and the copyright to these lyrics was held by The Frederick Harris Music Co., Limited, but became public domain in 2011. The English version of the hymn uses imagery familiar in the early 20th century, in place of the traditional Nativity story. This version is derived from Brebeuf’s original song and Huron religious concepts. In the English version, Jesus is born in a “lodge of broken bark”, and wrapped in a “robe of rabbit skin”. He is surrounded by hunters instead of shepherds, and the Magi are portrayed as “chiefs from afar” that bring him “fox and beaver pelts” instead of the more familiar gold, frankincense, and myrrh. The hymn also uses a traditional Algonquian name, Gitchi Manitou, for God. The original lyrics are now sometimes modified to use imagery accessible to Christians who are not familiar with Native-Canadian cultures. The song remains a common Christmas hymn in Canadian churches of many Christian denominations. Canadian singer Bruce Cockburn has also recorded a rendition of the song in the original Huron. It was also sung by Canadian musician Tom Jackson during his annual Huron Carole show. The group ‘Crash Test Dummies’ recorded this hymn on their album “Jingle all the Way” (2002). In the United States, the song was included as “Jesous Ahatonia” on Burl Ives‘s 1952 album Christmas Day in the Morning and was later released as a Burl Ives single under the title “Indian Christmas Carol.” The music has been rearranged by the Canadian songwriter Loreena McKennitt under the title “Breton Carol” in 2008. A new recording with a very mystical setting of the Huron Carol was released in 2011 performed by The Canadian Tenors. Because the melody spans a modest range, it is ideally suited to instruments that have a limited pitch range, such as the Native American Flute.